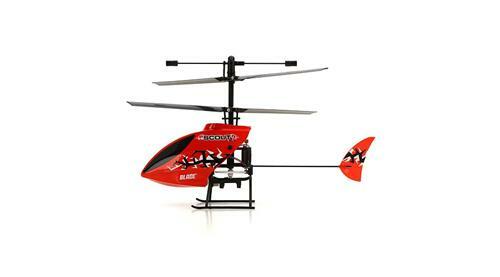 Here you have an E-Flite BLH2700 Blade Scout 3 Channel Helicopter Kit !! This is package includes a Complete Ready To fly Heli ~!! You can simply charge & install batteries and your in the air !!! Please understand that this package will include the complete ready to fly E-Flite Scout Heli, Transmitter W/Charger, On-board Battery Pack, (4) AA Batteries For the Transmitter, Owners Manual and Original Protective Storage Box !! A complete kit like this one would set you back $89.00 plus tax or shipping at any hobby outlet so pick this one up now for a fraction of the retail price !!! You can't go wrong here when you will receive the Complete Kit, you have a Low Purchase Price Of Only $42.00 and if you buy it now, you can receive it in just a "few days" !!! This is an all original RTF Teriffic Heli !!! These Helicopters are very easy to fly, very reliable, easy to repair, All parts are readily available and this is a Limited Time Offer so buy now or loose out !! OK, so Thank You For Looking At My Item And Please check my other "BUY IT NOW OFFERS" for More Heli's, Upgrades, Accessories And Many More Great Deals ! !